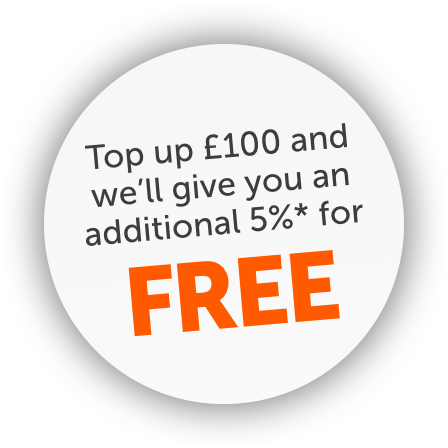 *Please note the 5% added to your account by TNT as part of the PrePay offer cannot be withdrawn and can only be spent on TNT Direct services. If you're interested in saving time when booking your parcels, you should try our PrePay services! Should you choose to do so, you’ll be opening yourself up to the wealth of benefits our prepaid courier services can bring your business. Find out more about the advantages of TNT PrePay here. To summarise, PrePay allows you to put into an account with TNT Direct and then use this credit to pay for orders without having to put in your payment details each time. PrePay delivery mean for my business? The obvious advantages to using PrePay shipping is how much time you can save yourself and your company. You no longer need to keep inputting payment information on each order as our PrePay service means you'll have your prepaid couriers, prepaid delivery, prepaid postage and more ready in next to no time for all your consignments. Setting up your prepaid courier service with us couldn't be easier. You can either create a PrePay account or top up to your needs and get ready to make the most of fast prepaid shipping. How to Top Up your PrePay Shipping? Set up your TNT Direct account (if you haven't already) and log in. Go to "My Payments." This page allows you to top up your PrePay. You can also check your remaining credit to see if you can afford your pre-paid postage at this time. Enter the amount you wish to top up by along with your payment details. When you log into your account your PrePay balance will appear at the top right of the page showing you clearly how much you have left to use for PrePay shipping. Your PrePay credit is valid until it has been spent, it will not expire. Ensuring you can make the most of our pre paid services whenever and wherever you want. The minimum amount of PrePay credit is £20.00 per transaction. You can of course add more to meet your prepaid parcel postage requirements.